The Crew (game, 2013). An online-only racing video game. Developed by Ubisoft Reflections, Ivory Tower. Official Trailer. 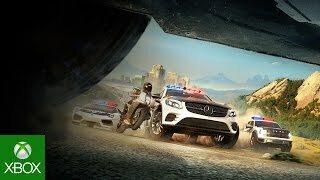 The Crew is an online-only racing video game, developed by Ubisoft Reflections, Ivory Tower. The Crew Calling All Units Trailer. The story begins with main character Alex Taylor being pursued by local law enforcement near Detroit. After losing the cops, he finds a Chevrolet Camaro loaned to him by Harry. Harry explains to him that Alex's older brother and the founder of the 5-10 motor club, Dayton, wants to speak with him. Dayton arrives and orders Alex to drive him to Ambassador Bridge. Once there, Dayton tells him to keep his head down. A Ford GT pulls up, Dayton goes and talks with the driver before walking back to the Camaro, but before he can get there, the driver shoots him and drives off. Alex rushes to Dayton's side as the police arrive. The police restrain Alex as Dayton succumbs to his wound. Alex is charged and later convicted of Dayton's murder by FBI Special Agent Bill Coburn, and is sent to prison. Five years later, Alex encounters FBI Agent Zoe Winters, who informs him that he will be temporarily released from prison if he agrees to cooperate with the FBI in exposing Coburn's corruption, and finding the truth behind Dayton's murder. In doing so, Alex has to infiltrate the 5-10 motor club and climb up its hierarchy. This way, Alex makes his way to exact revenge on Coburn and bring him to Zoe, and later find his brother's murderer, the new leader of the 5-10s, Dennis "Shiv" Jefferson. After getting released from prison, Alex accepts his first mission to help the Detroit 5-10, Troy. After doing a series of missions for him, Alex is sent to St. Louis to kill that city's V2. Alex and Zoe frame the V2's death, but Troy finds out that she is still alive. Troy sends his crew to get Alex and the V2. Alex manages to escape, but Troy finds and kills the V2. Alex then gets a call from Herschel Craig, the Chicago 5-10 who is competing for the V4 of the Midwest along with Troy. Craig gives tasks to Alex to claim territory from Troy by beating his records. Alex is able to get his 5-10 ink by helping Craig recover a stolen car from Europe. Alex is sent to New York City soon after to help a V6, Eric Tsu. 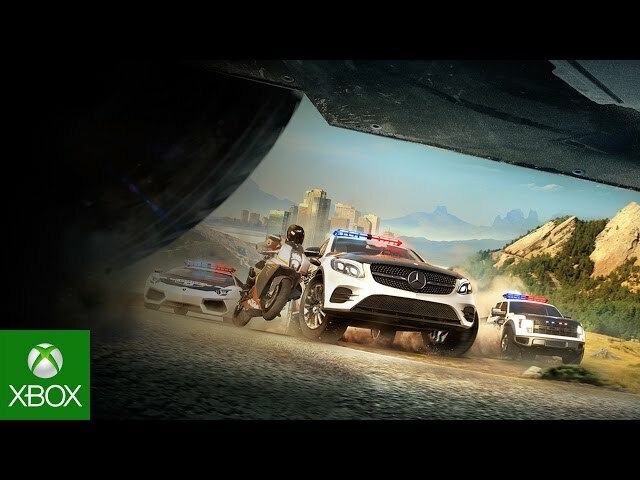 The Crew is a racing game set in a persistent open world environment for free-roaming across a scaled-down recreation of the contiguous United States. The map is split into five regions: The Midwest, East Coast, The South, Mountain States, and West Coast. Each region has its own unique geographical features. Six main cities (one in each region, two in the Midwest) are featured in the game: Detroit and Chicago in the Midwest, New York City on the East Coast, Miami in The South, Las Vegas in the Mountain States, and Los Angeles on the West Coast. Various other cities, namely St. Louis, Washington, D.C., New Orleans, Dallas, Salt Lake City, Santa Fe, San Francisco, and Seattle, are also featured in the game. Over thirty smaller cities and towns line the countryside, such as Nashville, Norfolk and others. It takes approximately 45 minutes in real time to drive from coast to coast in-game. The Crew was scheduled to be released on October 15, 2013, on December 1, 2014 and on December 2, 2014. This video game is available for the following platforms: Microsoft Windows, PlayStation 4, Xbox 360 and Xbox One.